File backup includes the storing your files separately from your computer. This way, in a case of data loss on your primary machine, you still have your data in the backup destination and might simply restore it back. No doubts that in the informational world loss of data is very destructive thing. And it's far easier to restore your files from backup than to attempt to recover it from a crashed hard drive. There are many things can happen to your computer that can cause you the data loss, so you have to foresee these dangers and set your backup mechanisms right way. With Leo Backup you can see that file backup is so simple to do, it can save a lot of time and make you sure that your data is protected if any disaster took place. With Leo Backup you can backup your files on your USB, on other computer over your network and, if you have your own online storage, on a remote host. Note that with secure protocols (SFTP and SSL) your files will be backed up absolutely inviolately. But we recommend you to backup your files with Leo Backup on the double address: apply the 3-2-1 rule ! 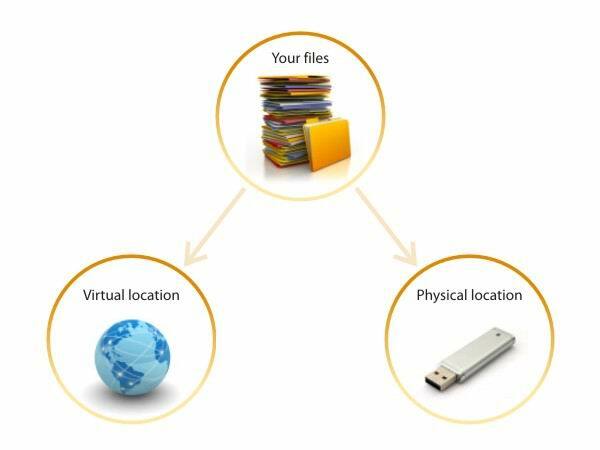 To be sure in your files and in its following successful recovery you need to keep 3 copies of any important file: a primary one and two backups. And there should be a physical separation between the copies. If you keep your data online, you are vulnerable to online dangers: hackers, virus, malicious intrusion, server crash. If your files are backed up on some portable device, this little hickey might be stolen, lost or broken. So just use these both destinations and ensure that your files are alright. Two backups definitely will allows you to restore your files in minutes should the worst happen to you.